2014 is coming to an end and, as cheesy as it is, I thought I’d post a little about the best books I’ve read this year. It’s taken a fair amount of beard scratching and some serious moustache twiddling but I feel a general top five is probably the fairest way to go as I’ve read some really, truly brilliant novels since I started this blog. Though my reading has trailed off this month, due in no small part to my son celebrating his first birthday and subsequently forgoing any kind of routine day time naps, my last read Europe in Autumn is an excellent novel. 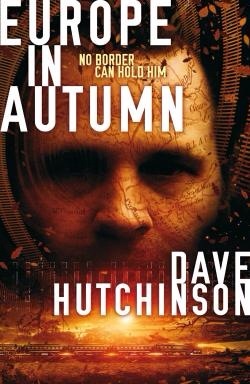 Subtle, engaging and with an intricacy and depth that is quite astounding at times, Dave Hutchinson is definitely a name to look out for in my opinion. Along with a lot of other blogs, awards and readers, I also have to admit that The Martian by Andy Weir is an unbelievably awesome book. There’s humour, humanity and hardship all packed into a novel that somehow makes potato maths interesting, nay, intriguing. This book had me gripped from the first to the last page and it was such a great read with such a fulfilling end that it’s hard not to recommend it to everyone, everywhere. My top fantasy reads this year resulted in a dead draw between Joe Abercrombie’s Red Country and Mark Lawrence’s trilogy beginning with The Prince of Thorns. Both authors are clearly some of the best writers in this new golden age of fantasy that we are all lucky enough to be enjoying. Red Country is, in my humble opinion, Abercrombie’s best to date. A rollicking Western-esque tale of revenge full of grit and characterised by a protagonist full of piss and vinegar. Mark Lawrence, a man of supernatural abilities and talent, has produced a trilogy so gripping it’s a must read if you like fantasy. His world building is fantastic, his characters are brilliant and the final revelations are just awesome. I think this work is one of the best new fantasy trilogies out there and I’m not ashamed to say it was an absolute pleasure to read. Finally, in my top five I am going to mention Fiend by Peter Stenson. I read this during a zombie novel binge and though it isn’t your typical horror fare, it’s for that reason that the book is so excellent. Drug addled protagonists, insane zombie-esque shenanigans and a skin crawling, brain itching ability to convey addiction. Stenson’s book is crazy but it’s a real (excuse the pun) shot in the arm for the zombie genre. I’ve also read a lot of fantastic short stories this year. It’s not something I’ve done much of in the past but I’m really glad I’ve discovered the medium. Two names that really stick out are Benjanun Sriduangkaew and Genevieve Valentine. Both produced stories that had a touch of the sublime about them but which also stuck in my mind long after I read them. I will also say that, for me, the best anthology of stories in 2014 was Two Hundred and Twenty One Stories From Baker Street. Every single piece of work was a fitting tribute to the Sherlock and Watson cannon and it was just great fun to see how each author reproduced those characters in such wildly different settings. Starting this blog earlier this year has also been great for me. Not only have I had a place to collate my thoughts on all the books I read I’ve also got to interview a few very interesting authors and editors. I’m hoping to continue in the same spirit in which I began in 2015. Maybe I’ll get a chance to watch all the films I missed out on this year. Maybe I’ll finally get to watch The Walking Dead season 4 (no spoilers please!). But, definitely, I’ll keep on reading, reviewing and blogging about some new stuff, some old stuff and some e-stuff. I’ll confess that this book was buried in a box marked ‘to review’ but jumped the line after I read an article in The Guardian praising it as one of the best of the year. I’ve read some great novels in 2014 and Europe in Autumn is definitely up there amongst the best of them. I, unfortunately, don’t remember who wrote that article (thanks!) but I will remember this book. Rudi is a cook in a Kraków restaurant, but when his boss asks Rudi to help a cousin escape from the country he’s trapped in, a new career – part spy, part people-smuggler – begins. Following multiple economic crises and a devastating flu pandemic, Europe has fractured into countless tiny nations, duchies, polities and republics. Recruited by the shadowy organisation Les Coureurs des Bois, Rudi is schooled in espionage, but when a training mission to The Line, a sovereign nation consisting of a trans-Europe railway line, goes wrong, he is arrested and beaten, and Coureur Central must attempt a rescue. With so many nations to work in, and identities to assume, Rudi is kept busy travelling across Europe. But when he is sent to smuggle someone out of Berlin and finds a severed head inside a locker instead, a conspiracy begins to wind itself around him. With kidnapping, double-crosses and a map that constantly re-draws itself, Europe in Autumn is a science fiction thriller like no other. What begins as an espionage-esque thriller with an intriguing protagonist bumbling through and learning his trade, soon evolves into something intricately more gripping. As Rudi develops his trade craft and delves deeper into the world of the Coureur, things begin to take a strange turn. From his first mission it seems that a number of players have been directing the hapless Rudi. Yet, the chef is not as helpless as he seems, nor as gullible and so begins an odd, out in the open game of cat and..well cat. Enveloping the whole of a fractured Europe, a cast of characters including gangsters, neo-nazis, forest rangers and unwitting accomplices, Europe in Autumn achieves a spectacular breadth and depth. Yet, it is in the last quarter of the book where things really get interesting. From a brilliant spy novel emerges an even more brilliant and speculative sci-fi consideration of maps, psycho-geography and the idea of parallel worlds inhabiting the same space. This is a great book that starts off subtly and turns into a barn burner. Definitely recommended. 19th Century literary scandle..? Colour me intrigued. 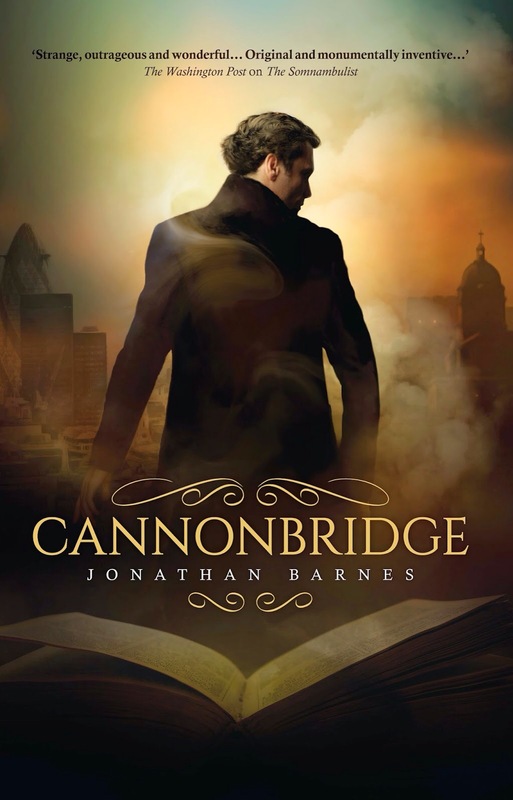 Flamboyant Matthew Cannonbridge was the greatest figure of his time: co-conspirator to Mary Shelley, benefactor to a young Charles Dickens, confidant to the imprisoned Oscar Wilde, and, as beleaguered 21st Century English-professor Toby Judd comes to realise, a historical fraud that never should have come to be. Whilst I’m not a big fan of romantic storylines, both the titles below sound as though there’s a lot more going on. 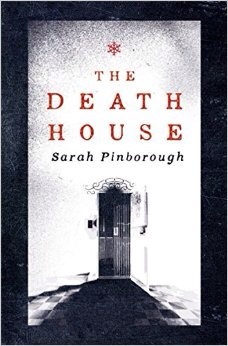 The first, The Death House, is from Sarah Pinborough an acclaimed thriller writer who has taken on the idea of star crossed lovers and death in a most unflinching style. 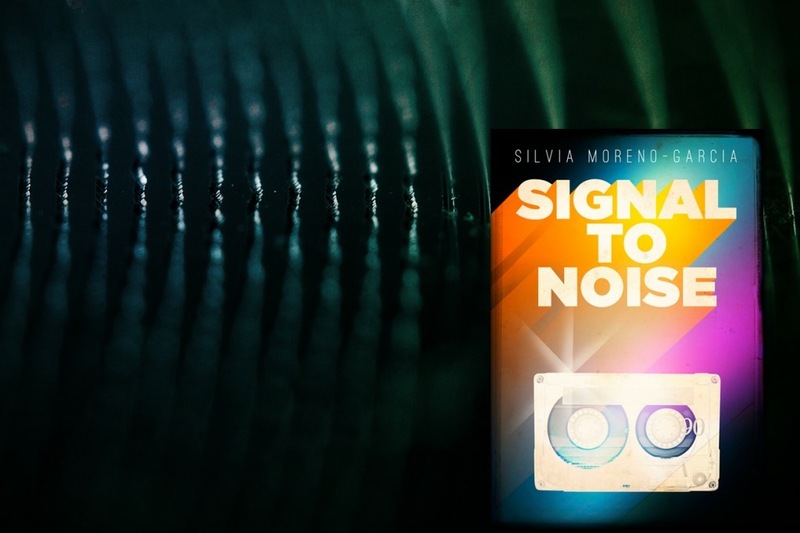 The second, Signal to Noise is a debut from Silvia Moreno-Garcia who has structured her fantasy novel around the connection we have as humans with music. Check out the blurbs and covers..
Toby’s life is perfectly normal . . . until it was unravelled by something as simple as a blood test. Taken from his family, Toby now lives in the Death House; an out-of-time existence far from the modern world, where he, and the others who live there, are studied by Matron and her team of nurses. They’re looking for any sign of sickness. Any sign of their wards changing. Any sign that it’s time to take them to the sanatorium.No one returns from the sanatorium. Mexico City, 1988: Long before iTunes or MP3s, you said “I love you” with a mixtape. Meche, awkward and fifteen, has only two friends and whole lot of vinyl to keep her company. When she discovers how to cast spells using music the future looks brighter for the trio. Mexico City, 2009: Two decades after abandoning the metropolis, Meche returns alone for her estranged father’s funeral. What happened back then, and is there any magic left? A techno thriller duology that mixes murder and quantum physics – that sounds both mental and intriguing! 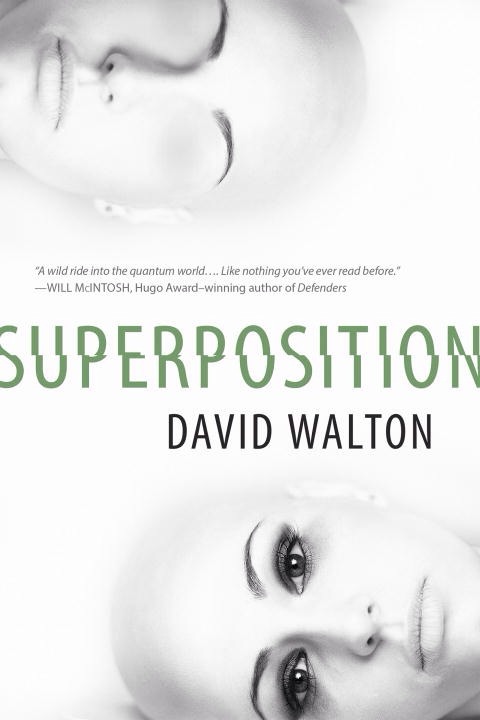 Coming from the mind of David Walton, Superposition will be released by Prometheus Books, April 2015. Check out the blurb below..
Jacob Kelley’s family is turned upside down when an old friend turns up, waving a gun and babbling about an alien quantum intelligence. The mystery deepens when the friend is found dead in an underground bunker…apparently murdered the morning after he appeared at Jacob’s house. Jacob is arrested for the murder and put on trial. Gollancz have acquired World Rights excluding USA to a trilogy of self-contained action-packed heroic fantasies from Dan Abnett. A highly talented and prolific writer of novels, computer games and comics, Dan Abnett’s shared world fictions have been set in many universes, including DOCTOR WHO, ALIEN, WARHAMMER and GUARDIANS OF THE GALAXY. Gollancz Associate Publisher, Simon Spanton, acquired the three books in THE WIELD series from Charlotte Robertson at United Agents. The highly original THE WIELD trilogy takes place in a human-populated society with a vivid dark ages culture. Following an ancient and elite band of warriors, THE WIELD books are dynamic heroic fantasy adventures packed fill of action and bloody battles. The flawed but engaging characters and the enthralling premise with a clever twist, will appeal to readers of Dan Abnett’s bestselling Black Library books, and fans of David Gemmell and dynamic heroic fantasy. The first book of THE WIELD series will be published in trade paperback and eBook in 2016 with the other two books to follow in 2017 and 2018. Unable to help myself, I jumped straight into another novel set in the shared world of Terminator Salvation. Splitting the action between ‘Judgement Day’ in 2003 and the future timeline setting of the fourth movie in 2018, Cold War shows what the war against the machines entails away from the central figure of John Connor. Divided between the perspectives of Russian nuclear sub captain Dmitri Losenko and Alaskan park ranger Molly Kookesh, the story gradually intertwines the two narratives into an all-out conclusion. 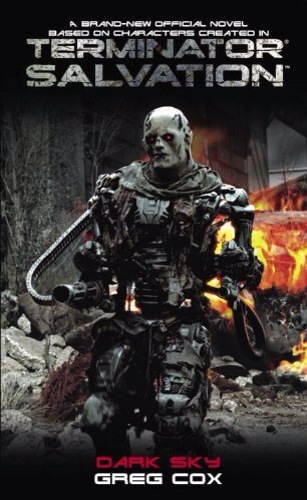 For those familiar with the films, Losenko is one of the Resistance’s top generals that Conner meets on a sub during Terminator Salvation. In Cold War we see the captain forced to commit nuclear Armageddon on Alaska as Moscow orders a retaliation for what is first thought to be an American attack (but which is later understood as Skynet’s opening salvo). As Judgement Day falls, Losenko and his crew are isolated and alone in their sub. Yet soon enough they discover the true damage and horror that has befallen the world. Meanwhile, in Alaska, 2018, Molly is leading a rag-tag bunch against the machines in an effort to both survive the war but also bring down the enemy in any way she can. Losenko and Molly are tied by the events of Judgement Day and, in the end, the Russian comes through to help the Alaskans as they attack a vital Skynet supply line. Greg Cox does well to fill in the bigger picture of the wider world struggling against the machines. Fleshing out the events of 2003 and the horror the submarine captain feels at following his orders, as well as the guilt of being implicated in Judgement Day, Losenko is an interesting character. Molly is equally a great foil to describe the damage wrought against nature and humanity as she struggles against all odds to make a difference. Whilst the story pumps along at a great pace and the action is balls-to-the-wall, there is little feeling to the narrative. Characters are built up and cut down without a second glance and some of the motives and actions of the side players are a little one dimensional. That is until the epilogue when we are actually shown a very touching and poignant moment. Perhaps the author meant to leave out any emotional connection to illustrate the relentless and unforgiving war in which humanity is engaged with Skynet. All in all, Cold War is an entertaining read. It reminded me of books I read as a youngster (that with some parental guidance I probably wouldn’t have got hands on), but that’s a post for another time.